Who says Honda isn't hip anymore? 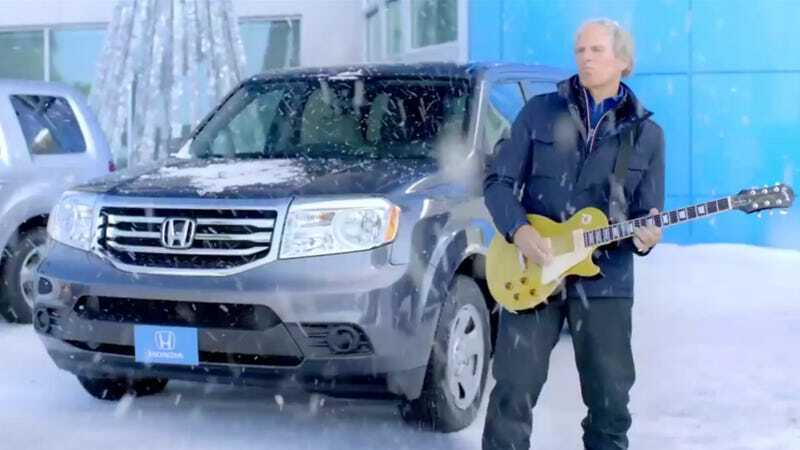 They proved they've still got it with their great holiday-themed ads featuring Michael Bolton, that famous rock n' roller the kids all love so much. Didn't everybody think those were amazing? The answer, according to the people who post on Honda's Facebook page, is not only "no," but a resounding "please don't ever do that again." It seems that nearly every post Honda makes — Bolton-related or otherwise — is met with multiple scornful comments about how bad the ad campaign was. Personally, I liked the ads. They were funny and quirky in this intentionally weird way, but they must have really rubbed America the wrong way. In fact, if you believe the Facebook comments, the Bolton ads were so bad they caused quite a few longtime Honda-buyers to actually swear off ever buying the cars again. Here's just a few of them. There are many, many more. People, what's with all the Bolton hate? Who should Honda get instead, then? Kenny Loggins? Yanni? Daryl Hall and/or John Oates? Whoever it is, hopefully it will make next year's Happy Honda Days a bit happier.